While many wish to write “young high-flyer” on their CV, for Kate McWilliams it’s simply a matter of fact. 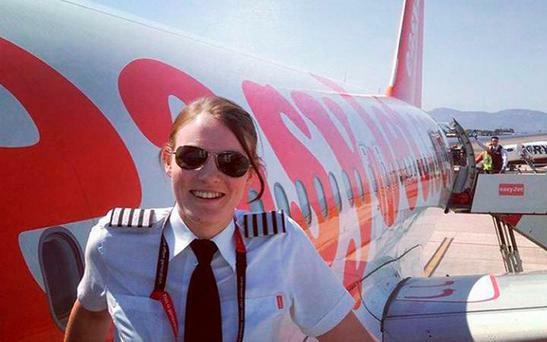 Aged just 26, the easyJet pilot is believed to be the youngest in the world to become a commercial airline captain. On one recent flight, she and her co-pilot had a combined age of just 45. 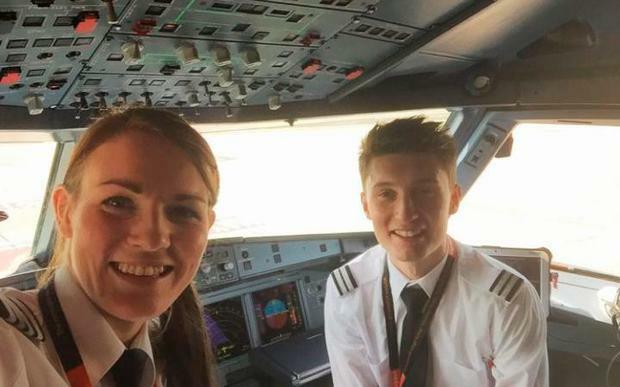 The recently-promoted Miss McWilliams flew last week from Gatwick to Malta alongside Luke Elsworth, who earlier this year became the UK’s youngest pilot at 19 years old. With women making up for just five per cent of pilots, Miss McWilliams, originally from Carlisle, said she gets quizzed about her age by cabin crew and passengers almost every day. “Personally I don’t think my age matters. I’ve been through the same training and passed the same command course as every other captain so I’ve proven myself capable regardless of my age,” she said. The newly promoted captain began flying aged 13 in the air cadets before embarking on a training programme at CTC Aviation in Southampton on her 19th birthday. In May 2011 she joined easyJet as a first officer and recently took up the rank of captain after passing the airline’s command course. An easyJet spokeswoman said the Luton-based airline has carried out research which leads it to believe she is the youngest commercial airline captain in the world. Miss McWilliams said: “I do now get asked how old I am on an almost daily basis which didn’t used to happen when I was a first officer. “Usually that question comes from the cabin crew but sometimes passengers ask too. Miss McWilliams, who lives in Reigate, Surrey, flies Airbus A319 and A320 planes to around 100 destinations, such as Reykjavik, Tel Aviv and Marrakesh. “With Gatwick having such an extensive route network my roster is very varied so I rarely fly to the same place twice in the same month,” she said. Miss McWilliams recalled that when she was growing up she “never even thought it could be an option” to become a commercial pilot, saying that she “didn’t know any I could ask for advice”. Just 5 per cent of commercial pilots are female and last year easyJet announced an initiative to double the proportion of female new entrants to 12 per cent over two years. Julie Westhorp, chairwoman of the British Women Pilots’ Association (BWPA), said she hopes Miss McWilliams’ progression inspires more women to consider pursuing a career in aviation.